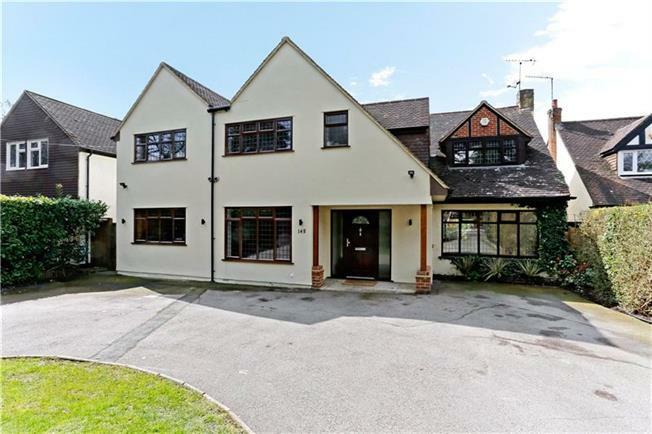 6 Bedroom Detached House For Sale in Watford for Guide Price £1,350,000. A marvellous family home situated in one of Watford’s most sought after locations, with a carriage driveway to the front and a beautifully landscaped garden to the rear. This delightful property affords the convenience of all local amenities, Cassiobury Park and a level walk to Watford Town Centre. Transport links include access to the M25 at junction 19 or 20 and Watford Junction Train Station with fast trains to London Euston. Alternatively Watford has a Metropolitan Station to Bakers Street & Aldgate. The property is situated on the same road as the famous Grove Hotel with Spa, World Championship Golf Course & a selection of fine dining restaurants and bars. Extended by the current owners, the house boasts well balanced accommodation spread over two floors. A combination of traditional rooms and open plan living has created superb space. 31ft x 22ft with a contemporary fire and bi-fold doors to a patio entertaining area with feature pond. Flexible ground floor accommodation to create a possible annexe, subject to any required permission. By incorporating the Study, Shower Room & Utility Room into a (Bedroom, Shower Room & Kitchen with side door access). Completing the ground floor is a well appointed Kitchen with underfloor heating and bi-fold doors, Family Room & Entrance hall with a generous storage area. To the first floor a Master Bedroom enjoys an en-suite shower room, with underfloor heating. Five further bedrooms are serviced by a conveniently positioned four piece bathroom suite off the landing, this bathroom also benefits underfloor heating. 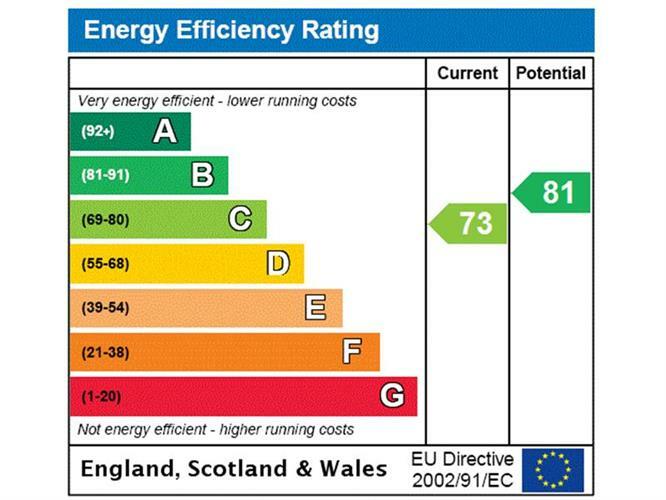 There is loft space with the opportunity become habitable, subject to planning permission. Watford town centre is approximately 1 mile from the property with its excellent selection of shops, including the INTU Centre. Transport facilities include the Metropolitan Line at Watford station and the Main Line to Euston from Watford Junction, (approx. 20 mins on the 'faster trains'). Junctions 5 and 6 give access to the M1 and Junction 19 or 20 to the M25 connecting with the national motorway network and airports. There is a good selection of schools, both state and private education, to include Watford Boys and Girls Grammar Schools, Nascot Wood Primary, York House & Cassiobury Park Junior School to name a few. The Park at Cassiobury has over 190 acres of open space and woodland with a range of sporting and recreational facilities. The River Gade and the Grand Union Canal also run through the Park. There is ample parking to the front of the property with a carriage driveway entrance. The house is private from the road with matures hedges lining the front boundary behind a low level brick wall. The property is well lit, benefitting from floodlights to the front and rear garden. Gated side access to the rear garden leads to a useful outhouse & shed. Security includes visual and audio CCTV. The beautiful rear garden has a wide variety of plants and shrubs with varying degrees of height and seasonal colours. Enclosed to all sides and affording an irrigation system, this fabulous garden enjoys several seating areas with direct access from the house. A charming pond filled with Koi Karp is to the side of the patio has created a wonderful water feature with views back over the garden. A viewing is essential to fully appreciate this lovely family home. Local Authority: Watford Borough Council.